David M. Brown was born in New Orleans in October 1957, and grew up in the suburb of Metairie. He began playing music professionally in 1972 in a wedding and dance band called "The Cabarets", one of the later offshoots of the kid's jazz band "Dunk's Honky-tonks". David played bass, guitar and tenor banjo, performing swing, Dixieland, pop and other styles with "The Cabarets", in virtually every VFW, American Legion and DAV hall in the Greater New Orleans Area, and popular wedding places like the Balcony, the Arrow and Champagne rooms, etc. David also played with many other bands in addition to "The Cabarets", particularly the "Third Line Jazz Band, both of which still played street jazz for the marching clubs for their Mardi Gras and St. Patrick's day parades. He joined the Musicians Union in 1977 and began playing with groups such as "The Lloyd Alexander Orchestra", "The Original Crescent City Jazz Band" and many others, including the New Orleans "Summer Pops" Orchestra, the Saenger-Orleans Theater and Tulane Summer Lyric Theater pit orchestras, and even special jobs such as playing with the ghost band version of the "Jimmy Dorsey Orchestra" and backing up such names as Bob Hope and Neil Sedaka, and many more. Many of these performances were at the finest hotels and ballrooms in New Orleans, and often were on board the Steamer President, the Natchez, Cotton Blossom, and other riverboats. In addition to jazz and other styles of music commonly played in New Orleans, David was interested in ethnic and world music since the 1970's. 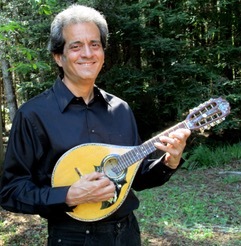 As a member of a Sicilian-American family, David had played mandolin since his teenage years, even being featured as a soloist with the Summer Pops. 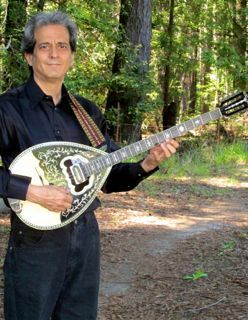 By 1976 he had gotten interested in Greek bouzouki, after being introduced to Greek music by a Greek-American musician friend. In 1984 David and his wife Barbara formed the first Klezmer band in New Orleans, "Klezmania", until the Browns left for California in 1991. Additionally, David was active in the Middle Eastern scene and also spent many years playing Cuban music with bands such as "Santiago", "Pedro Cruz", "The Songo All-stars" and others, particularly at the Jazz and Heritage Festivals from 1976 to 1990. David's formal musical education consists of a BA and a Master's in Music Composition from the University of New Orleans; his informal education was from old master musicians such as guitarist Danny Barker, trombonist/conductor Milton "Whitey" Bush, trumpeter Dalton Rousseau, guitarists Roger Filiberto, Les Wise and Hank Mackie, and many others. By 1991 David had moved to Northern CA, and soon began working at Lark in the Morning. In California he has played with many bands, including "Zincali", "The Alta California Orchestra", "Safe Sax", "Pura Vida", "Mambo This! ", "Bal Anat", "Habiru", "Phil Lawrence", and of course has led his own traditional New Orleans Jazz and Hot Swing band, “The Big Easy” and “David Brown & The Krewe of Sound”. David also provides music for television shows including American Pickers, Pawn Stars, Comedians in Cars Getting Coffee, Say Yes to the Dress and Saturday Night Live.